My wife and I (aka the GroovyOldies) and another retired couple (all over the age of 65) did a recent 18 day tour of North India in February. Our tour included Delhi, Rajastan state, Agra and Amristar. We planned and booked the whole tour ourselves. The main website we used to book our accommodation was Agoda. The months of February to April is spring and the average temperature was around 17°C . We used light warm clothes throughout the trip. Diseases such as hepatitis A, cholera and typhoid are common in India so ensuring you eat hot cooked food, avoiding uncooked vegetables and tap water is crucial. We would definitely recommend the relevant vaccinations to reduce your risk of acquiring these infections (see post by GroovyT on travel vaccinations). Cholan Tours Pvt Ltd , Tiruchi , India, was responsible for our car rental through their counterpart in Delhi Indian Panorama. We hired a 7 seat Toyota Inova along with a driver (Ramesh). Ramesh drove us to all locations except Amritsar. He picked us up from New Delhi Airport and he was with us throughout the tour. In the evenings he would drop us off at our hotel, and then pick us up in the morning at a prearranged time. The 2 couples had put together our itinerary which we had provided to Cholan Tours and in turn they had sorted everything out with the driver. The car journey started in New Delhi and finished at the Delhi airport after traveling through Rajastan and Agra. The Driver was fluent in conversational English. He was a safe driver and also a friendly and happy chap who made recommendations of restaurants for meals and coffee breaks. In New Delhi we stayed at the Hotel Regent Grand which is a 3 star grade, old established hotel. Facilities are reasonable for the price paid. Tourist guides were not hired as our driver was helpful in reaching the locations and guiding us to the entrance of each of the places visited. All of the above places are of historical importance, well maintained and kept clean and tidy. Thousands of tourist visit these places daily. The attached photo reflects their beauty and importance given to them based on history, culture and heritage. 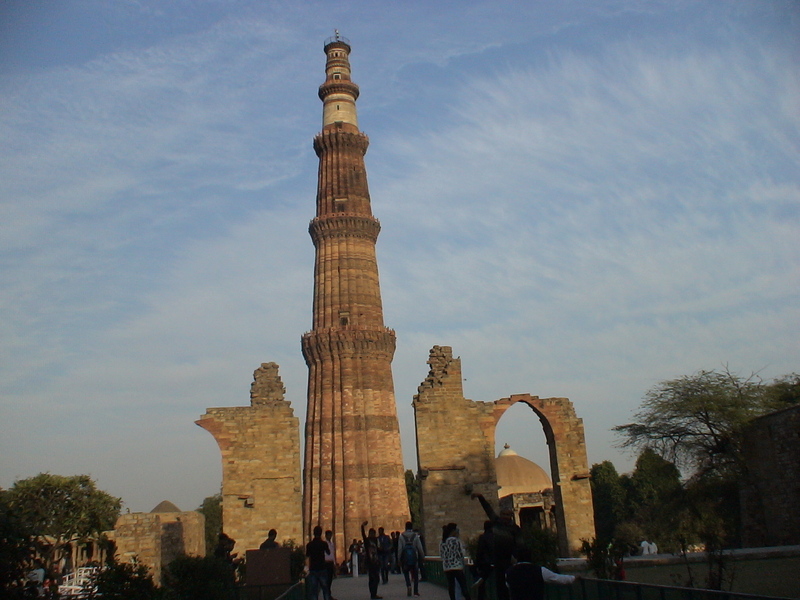 Qutup Minar, Delhi – This is the tallest tower in the World built in brick. The height is 73 Metre with base diameter of 15 Metre tapering to 2.5 Metre at top. This monument is declared as World Heritage site by UNESCO. 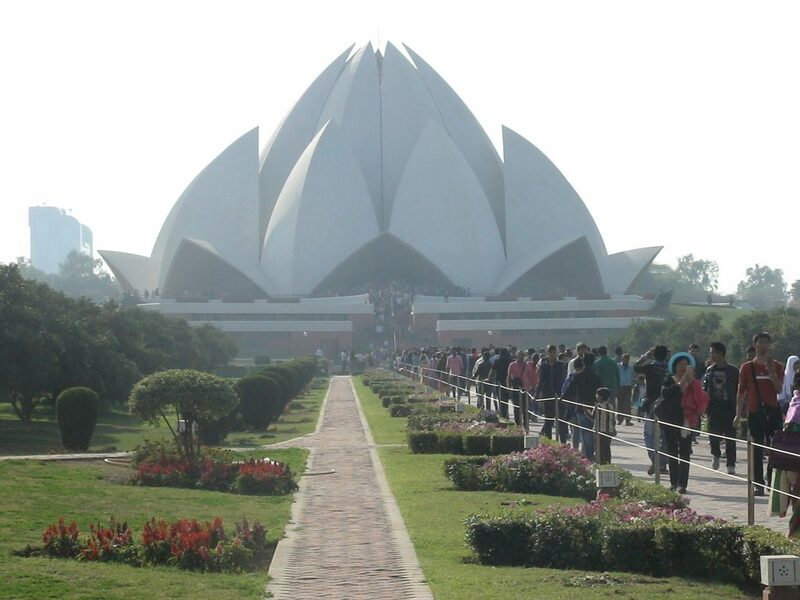 The Lotus Temple. Built by the followers of the Bahá’í faith. Open to all. It is a modern architectural beauty with the complex in the shape of a lotus flower. 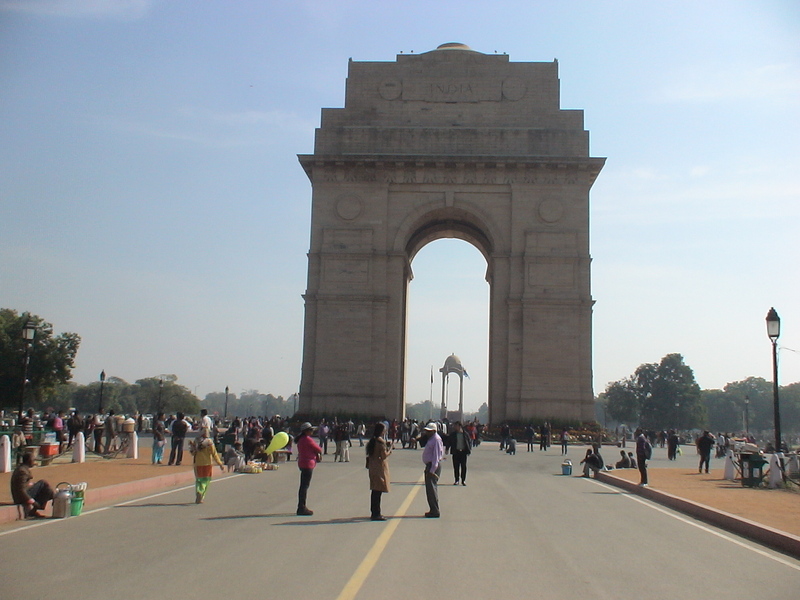 View of India Gate. 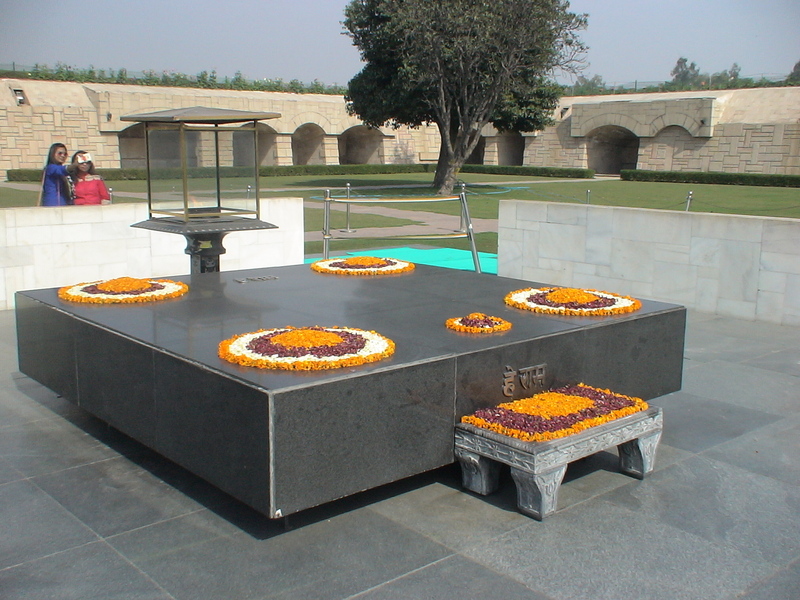 This monument is visited daily by thousands of foreign and Indian tourists. After two days of intense site seeing around New Delhi we started our journey to Jaypur. Jaypur is about a 6 hour drive from New Delhi. We stayed at the Umaid Bhawan Heritage Hotel. This was originally a small palace which has been converted into a 3 star hotel. Facilities and services are overall of good standard and staff are very helpful. Live entertainment by the Rajasthani dancers was available every evening at the hotel restaurant. The bathrooms including the toilet and shower are of an older design, and need improvement! This is a common issue among lots of the older hotels in India. This hotel is in an established residential area and there is no garden space. Roadside view of the Umaid Bhawan Heritage Hotel. Historical information about Amber Fort written on marble stone. 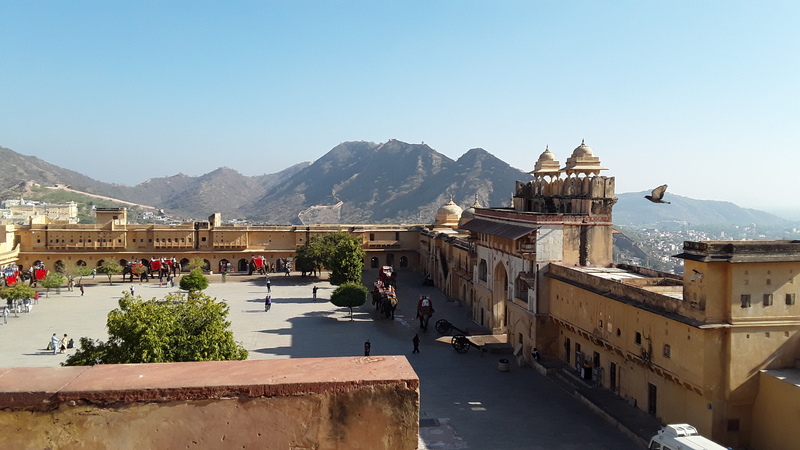 A view of Amber Fort first floor and its surroundings from the third floor. You could see arrival and departure of visitors on elephants. Also you may see long walls built on hills to protect from invaders is visible at a distance. 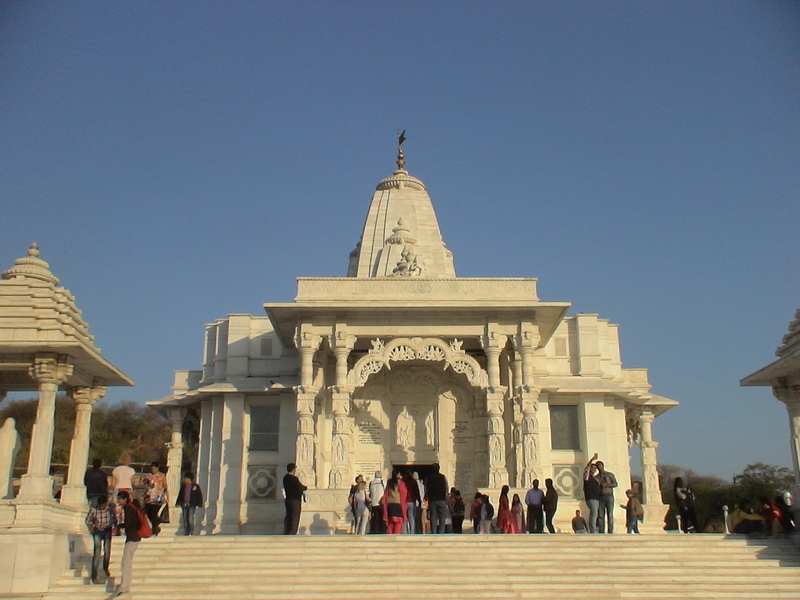 Birla Mandir- Jaipur (Laxmi Narayan Temple) is loacted at the base of Moti Dungari hill . This beautiful temple was one of our favorite attractions in Jaipur. Nahargarh Fort entrance where all visitors park the vehicle and walk inside the fort to see the various attractions such as palace, museum, armory and the views of the surroundings. 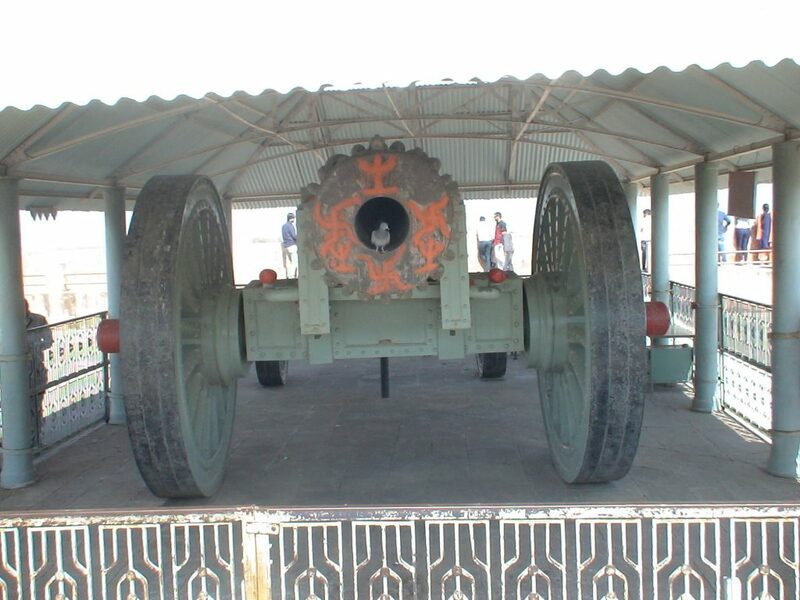 Nahargarh Fort Gun Barrel located at top of the hill. A pigeon is seated on the mouth piece without any fear of being shotdown. 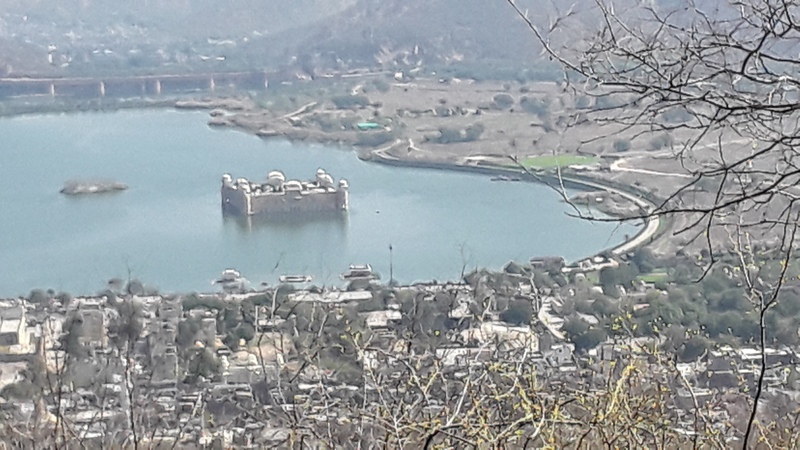 View of Water Palace from the hills of Nahargarh Fort. 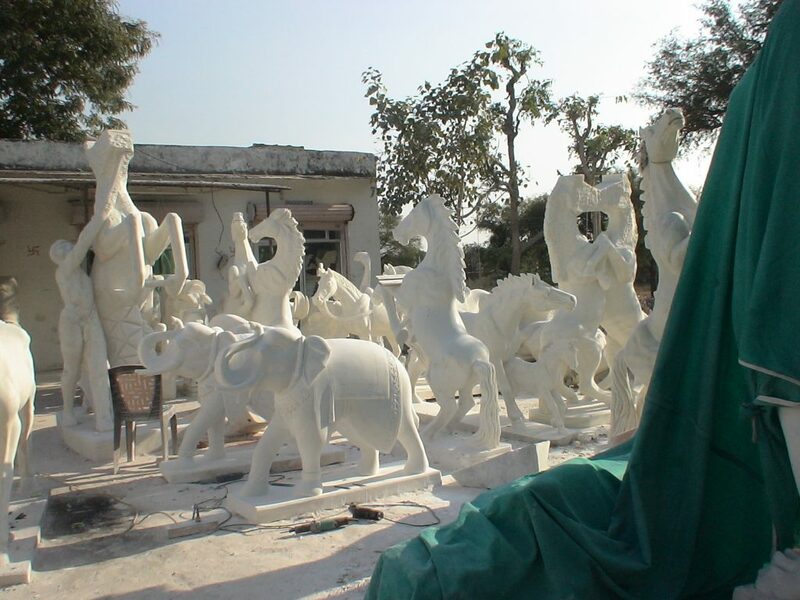 Road side Marble sculptures Industry. This is common site in Rajestan rural areas. 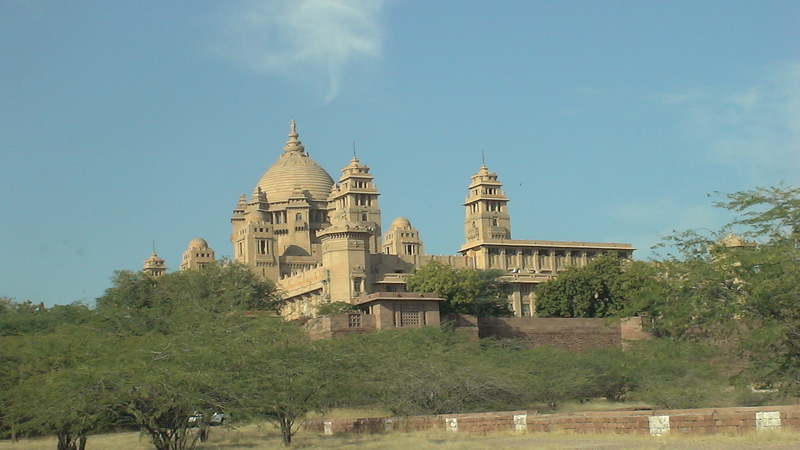 Umaid Bhawan Palace. A very large modern palace. 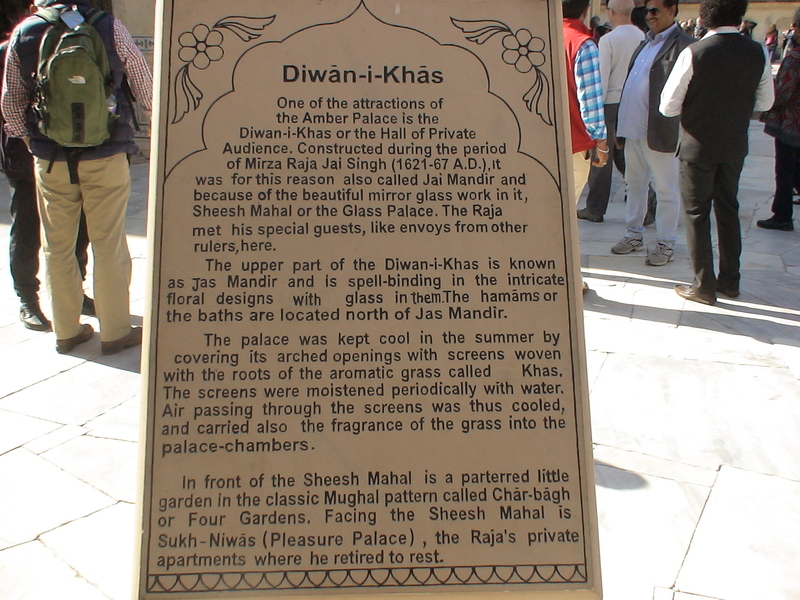 Part of the palace had been converted into a Five Star Hotel and the other part run as a Museum containing collection of artifacts from the King’s family – H H Maharaj Gaj Singh II. 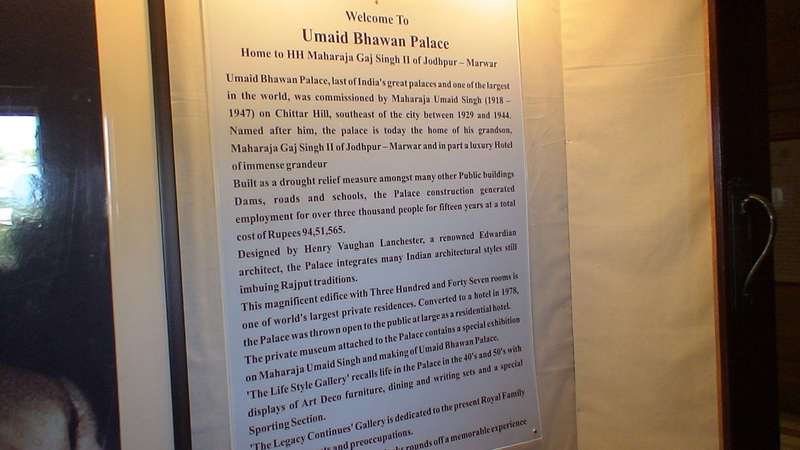 Brief history of the Umaid Bhawan Palace is given above in writing from a Marble stone in the grounds of the palace. A view inside the Meharangarg fort showing a section of the palace inside the fort. 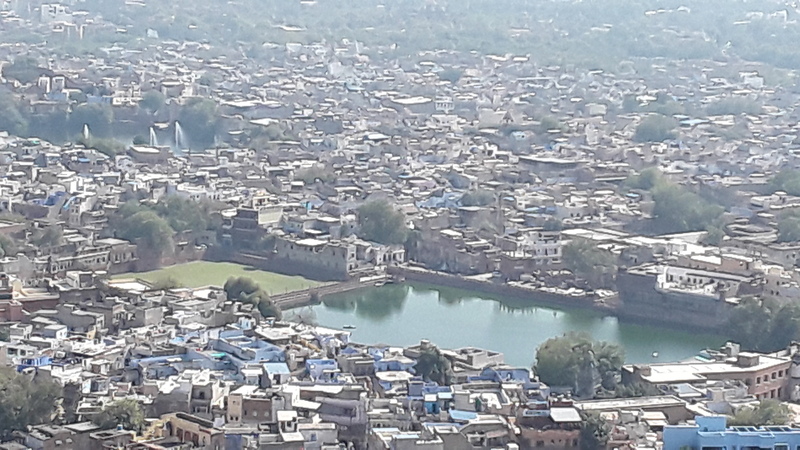 A magnificent view of Jodhpur city from the top floor of the palace in Meharangarg fort. Mahavira Temple – A beautiful Ossian Jain Temple in the Jodhpur area. It is dedicated to the last Jain Prophet. 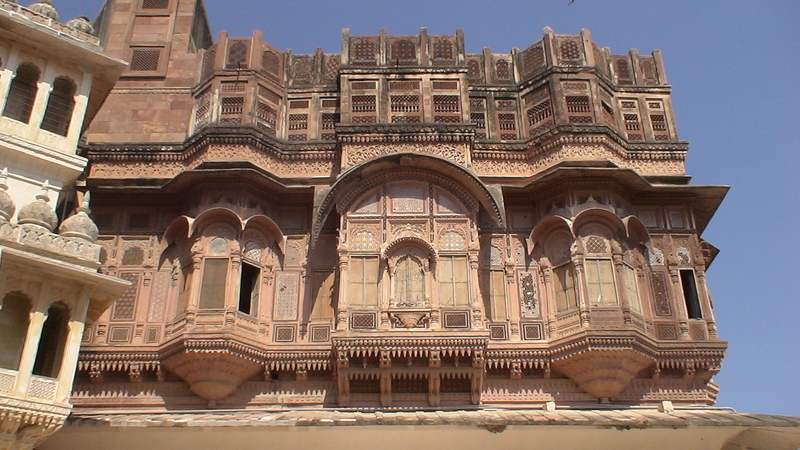 Ossian is a small town north of Jodhpur. A trading community Oswal Jain comes from this town and donated the funds to build most of the Jain Temples in this region. 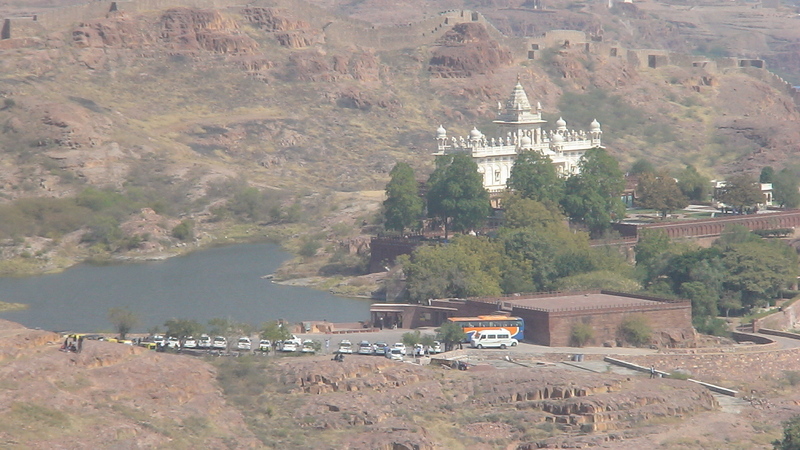 A distant view of Mahavira Temple from top floor of Meharangarg fort. We only stayed for one night, but the few places we saw were fascinating. 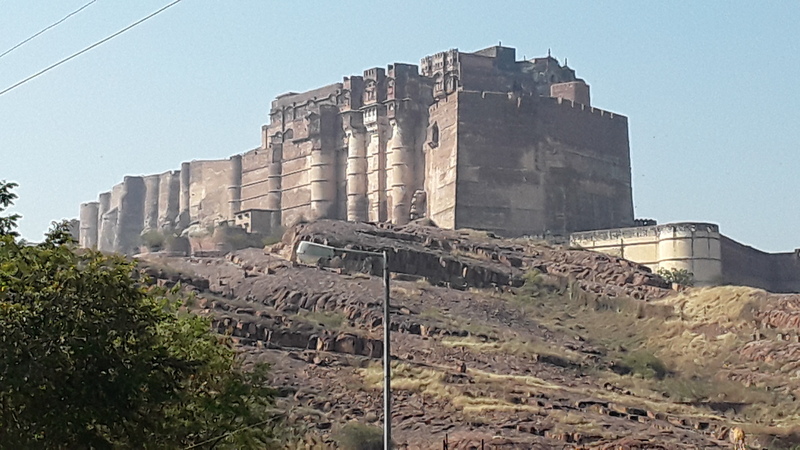 We visited these places while approaching from Jodhpur or while leaving to Udaipur. 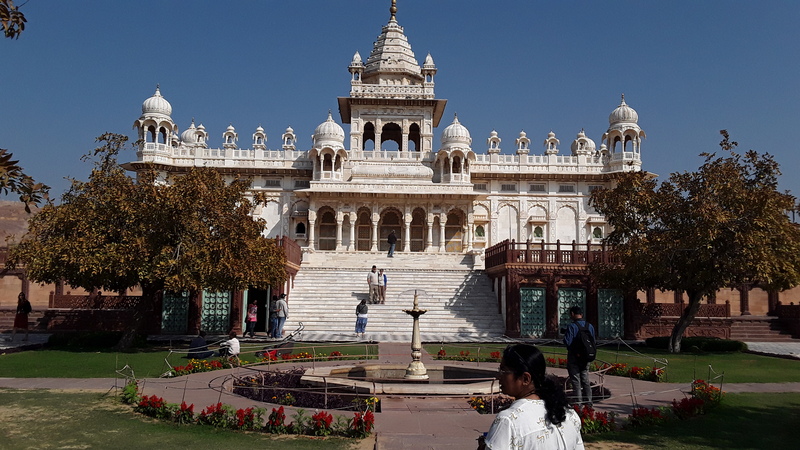 Majestic front entrance of a Jain Temple near Ranakpur. Beautiful workmanship is reflected on the carvings in internal pillars, walls and ceiling of the temple. Carving on inside of the Jain Temple dome. It is long walk from the Gate at the high wall to the Kumhalgargh Fort on top of the hill. You will enjoy the walk and spectacular views. Close up view of the huge walls at the Kumhalgargh Fort, designed to protect the palace, temples and residential area from invaders. A restaurant on the banks of a river in a rural area near Ranakpur catering for tourists. Demonstration taking place to show the making of beautiful hand made rugs by the villagers near Ranakpur. Udaipur, also known as City of Lakes was our next destination. The distance between Ranakpur and Udaipur is about 95 km. We reached Udaipur in the late evening after stopovers at a few site seeing sites closer to Ranakpur. 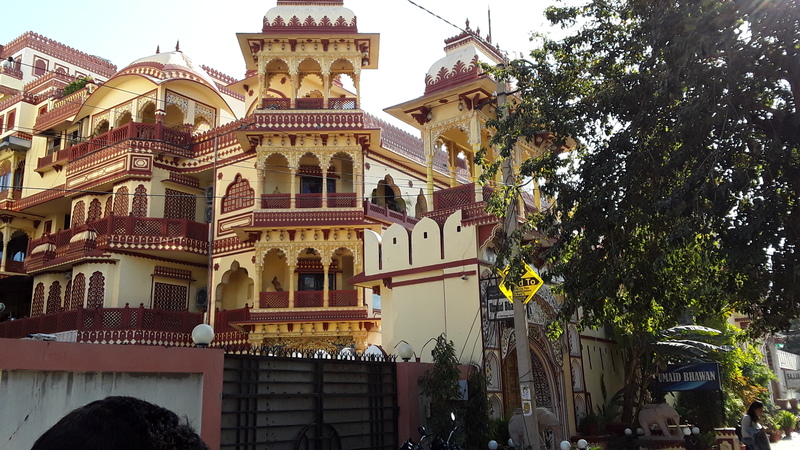 The Jegat Niwas Palace hotel that we stayed at is situated in the old city area of Udaipur. The roads in this area are very narrow and vehicles bearing non Rajastani registrations are not permitted to drive in this area. Our vehicle was stopped at a designated place and we had to travel the last part in a local three wheeler to get to the hotel. Our driver could be contacted by cell phone at any time if we wanted to go outside of the old city, we simply had to ring him, and meet him at car park which we get to on a three wheeler. The cost of hiring a three wheeler was 100 Indian rupees (approx US$1.50) one way to the hotel. The entrance to the Jegat Niwas Hotel is a narrow passage and the reception desk is a small counter and simply manged by one or two staff. However, after we had checked into our rooms and walked about and went to the rooftop restaurant we realised that the hotel was spectacular had magnificent views of lake Pichola and surroundings. This is a fantastic view from the roof top restaurant of the Jegat Niwas Palace hotel. What you see is the western side of the lake with several hotels on the shores. Beautiful view of the Lake Palace Hotel from the roof top restaurant of Jegat Niwas Palace Hotel . A popular attraction for visitors is a boat trip to see the sunset in the evening. This beautiful view of sunset could be seen from Jegat Niwas Palace Hotel as well. View of the City Palace from Lake Pachola from a boat tour. The palace is one of the major attractions in Udaipur. You could easily spend half day inside the Palace. 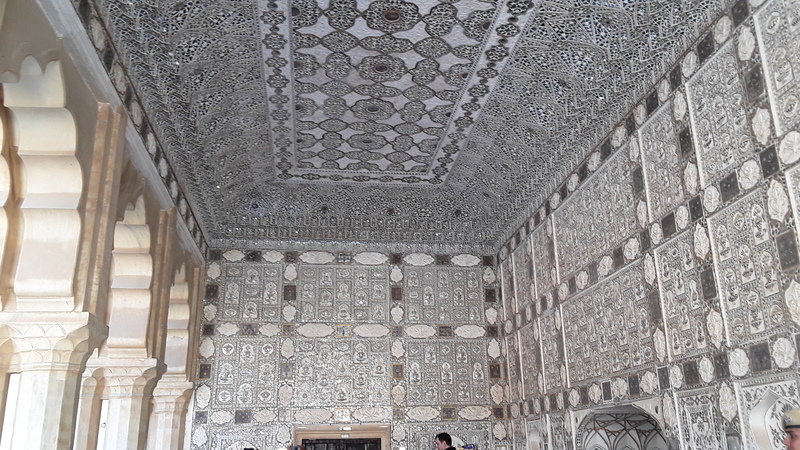 Sample artwork on the walls and windows inside City Palace. Battle of Haldighat – Bravery memorial for Raja Rana Pratap Singh with his brave horse Chetak on the hill top garden. It is a long drive from Udaipur to Pushkar. We started early morning and reached our destination Pushkar Resort around 3.00 pm. It is a beautiful resort little away from the city center. 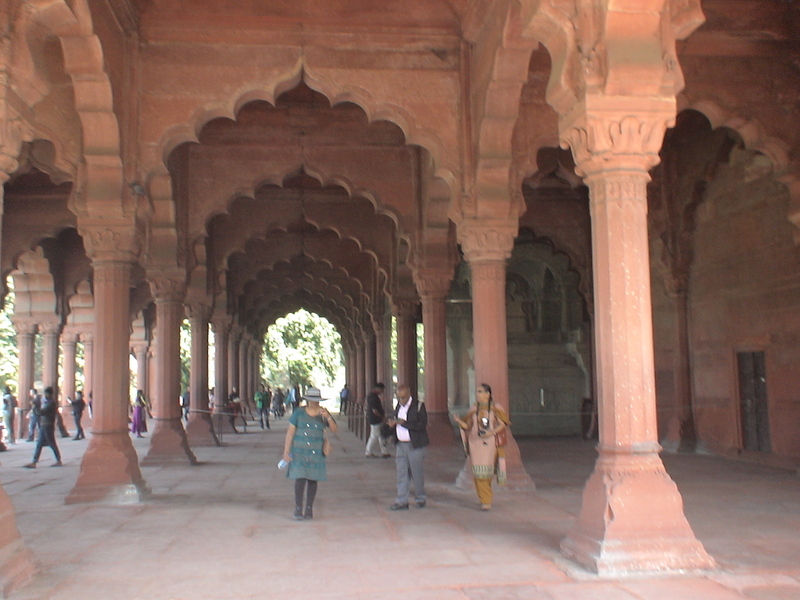 Our main purpose of coming here was to use it as an overnight transit to go to Agra the next day. There are lot of Hindu Temples and Jain Temples in and around Pushkar, but instead of more temples, we choose to go for Camel ride to see the sunset on the same evening. Pushkar to Agra was another long drive. The drive was pleasant passing through farmlands, scenic mountain terrain, and roadside industries like manufacturing of sculptures, and a marble quarry. We checked in at Double Tree by Hilton Hotel. It is a beautiful modern hotel with good services. In the same evening we drove to see Taj Mahal from other side of Jamuna river. Quite a stunning view before the sunset. The next day early morning before the sunrise we went to Taj Mahal to have a view at of it at sunrise. We also hired an English speaking guide to show us the entire complex of Taj Mahal and the Agra Fort. He was really good and provided us with lots of information on these two sites. Early birds arriving to see the Taj Mahal in the early morning sun. This is one of the main entrances to the complex. This is the entrance to the Red Fort of Agra. From various location inside the fort you can see the Taj Mahal in the distance. After two days in Agra, we drove to New Delhi to spend the night at the IBIS Hotel near the Airport and took an Indian Airlines flight to Amritsar the next morning. On arrival at Amritsar, we checked-in to the Hong Kong Inn for 2 nights. Through a friend of ours in New Zealand we had arranged a University Student from Amritsar to meet us at the Hotel to act as a local guide. He took us on the same evening to the Golden Temple. The Golden Temple and its vicinity are kept clean 24/7. Free food for visitors is provided 24 hours a day. Food is prepared continuously, served and cleaned by volunteers on a roster. The next morning we visited a Hindu temple and then went to back to the Golden Temple to have a day time view. Both day-time and night-time views are fantastic. Golden Temple complex with the pool surrounding the Temple and the visitors queuing to enter the Temple on the other side of the pool.The entire complex is kept spotlessly clean in-spite of thousands of visitors walking through daily day and night. Street view outside the Golden Temple complex. After visiting Golden Temple in the morning we hired a car and drove to border village of Attari to witness the changing of guard in the evening. This is the border post between India and Pakistan. The ceremony on both side of the border starts at 5.00 PM and finishes around 5.45 PM. People start arriving at 3.00 PM and taking their seat on the Indian side of the border. The ceremonial area is being expanded to accommodate more visitors. You can see the border gate on the Pakistani side – Wagah Border. The seats are unoccupied at 3.00 PM but get completely filled by 5.00 PM. This Beating Retreat Ceremony includes the closing of the international gates and lowering the flags of both the countries. The flag ceremony has been conducted by the Indian Border Security Force (pictured above) and the Pakistan Rangers since 1959. A portion the temple complex at Tirath dedicated for Sage Sri Valmiki, the author of Ramayana. On the return journey from the border to Amritsar, we went through a historical site: the birth place of Lavan and Kusan (Luv and Kush) son of Rama and Sita. This site has been well developed into a Temple complex at Tirath as a Sri Ram Tirath Temple. This picture shows a portion the temple complex dedicated to the Sage Sri Valmiki, the author of Ramayana (a famous Sanskrit ‘epic’ poem consisting of 24,000 verses describing ideal human characters, and presents the teachings of ancient Hindu sages. It has played an important role in South and South East Asian Hindu culture and tradition). We were very happy to end our 18 day tour at this historic site. It was tiring, but certainly worth the effort. The next morning flew out of Amritsar. Please share our experiences with any family or friends who may be traveling to this part of the world to help them plan their journey. Your Post Is Very Nice & Helpful Thanks For Sharing.